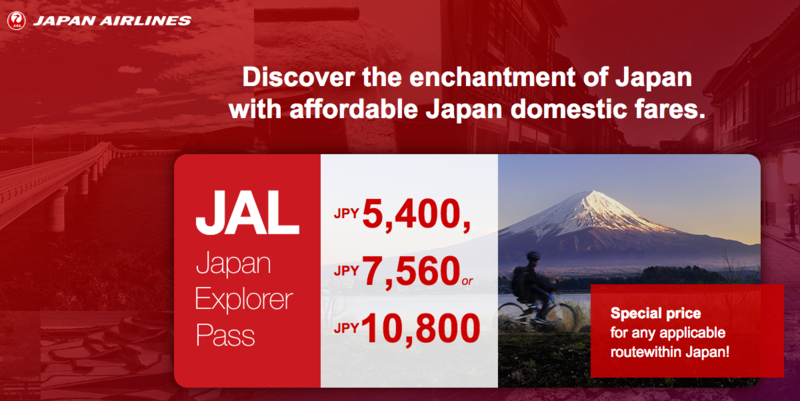 Japan Airlines has an interesting offer for visitors to Japan called the JAL Japan Explorer Pass which allows customers who have an international Japan Airlines ticket to purchase cheap domestic tickets independently. 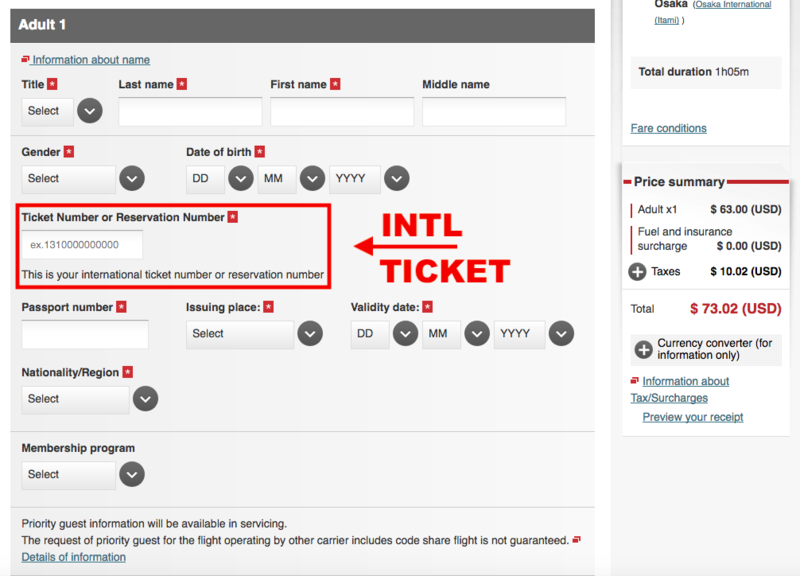 Prices for domestic tickets in Japan are usually quite low depending on the destination, but this offer makes it a bit more attractive to fly rather then using Japan’s convenient railway system. Some airports are quite far away from the city center and it can indeed make more sense to buy a rail ticket, but when it comes to the overall cost it should be noted that tickets for trains like the Nozomi Super Express (the fastest option between Tokyo and Osaka) are very expensive and not included in the Japan Rail Pass option. As such flying can still be very attractive. 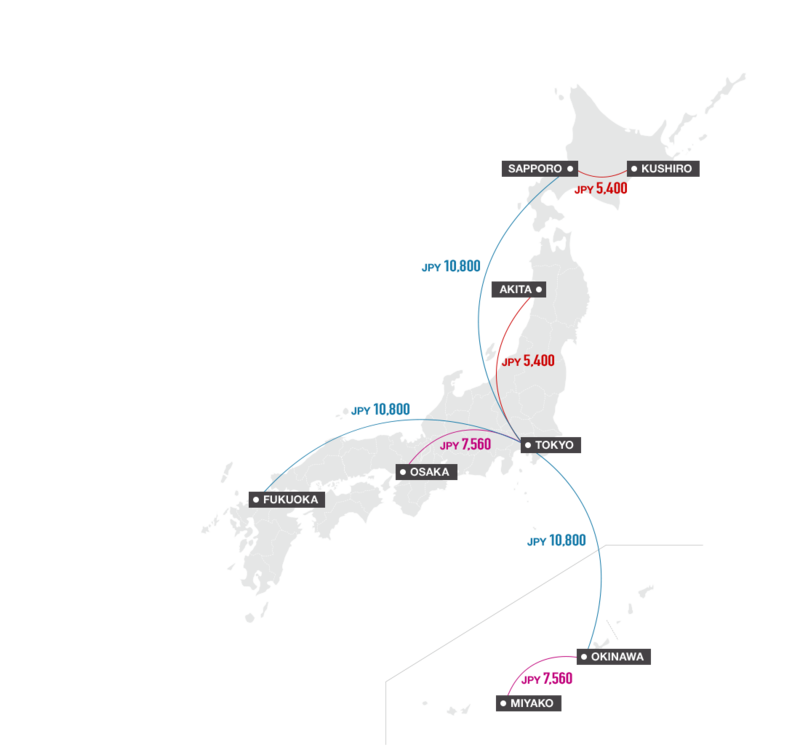 You can access the JAL website for the Explorer Tickets here. These rates are very reasonable especially because they’re static and won’t change on a daily basis, though of course they are capacity controlled. I had a JAL flight to Tokyo last week which was actually a BA Executive Club issues award ticket and tried to request a flight from Tokyo to Osaka later this week (random date). The flight was available without any problems. As advertised the rate was 7,560 JPY or US$73 as you have to pick your home countries page for making this reservation. It has a field where the international ticket number has to be inserted for verification. I did so with my BA ticket number and it was accepted. Purchasing the ticket in conjunction with this campaign would have saved 50% of the fare here. 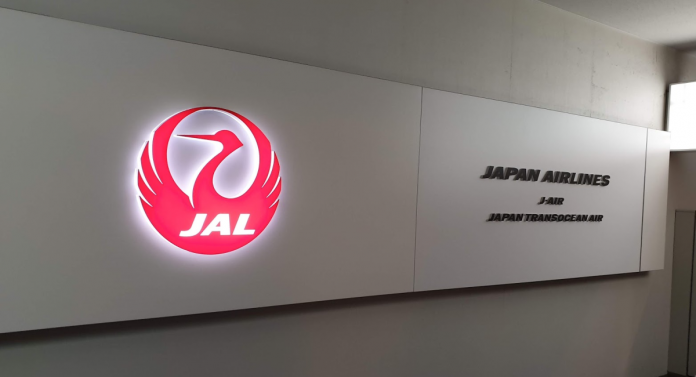 Where available, one could also purchase premium fares but I suggest to use the JAL Airport Upgrade method John wrote about a couple months ago (access here) and purchase an upgrade to First or Business (Class J) at the ticket counter when available. Upgrades to Business class cost a fix JPY 1000 ($9) and First Class where available is 8000 JPY (~$73). You can upgrade any ticket type on your day of departure, even award tickets. It definitely makes sense to check these rates in advance as it’s possible to save a lot of money here. 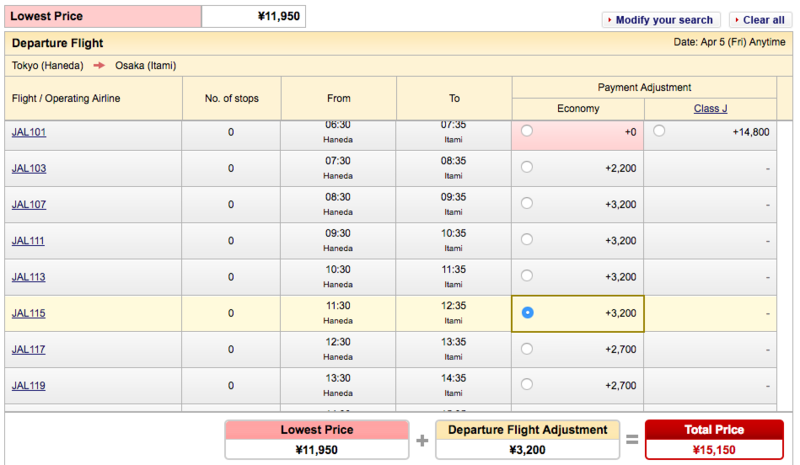 Another option to book cheap domestic flights in Japan is by using British Airways miles. A domestic sector runs 4,500 miles plus a few taxes here. In this case I’d rather pay the $73 though and then try to upgrade later as well. By the way, for those who prefer to fly ANA – they have the same promotion available, called Visit Japan Fare (access here). Fare is valid for Economy Class travel only. Class J and First Class may be purchased at the time of check-in on a standby basis.